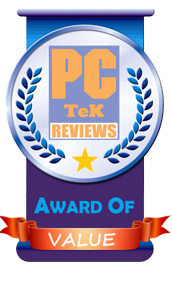 12 Sep, 2016 Rakesh Sharma Reviews . 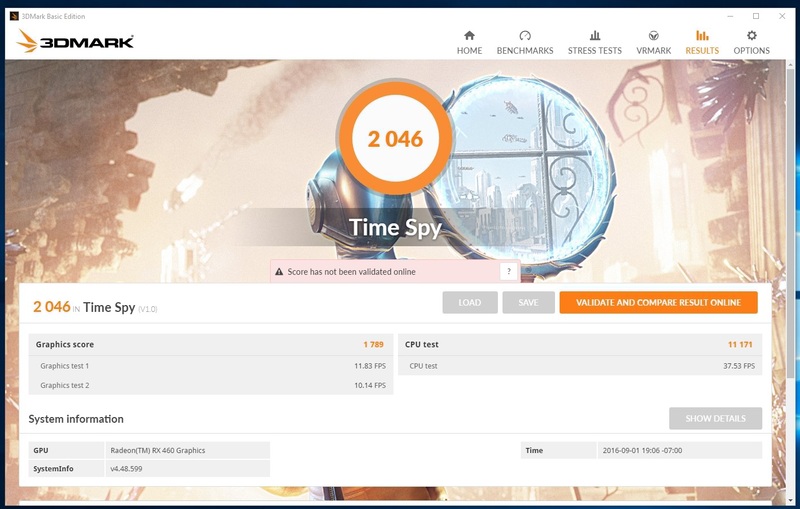 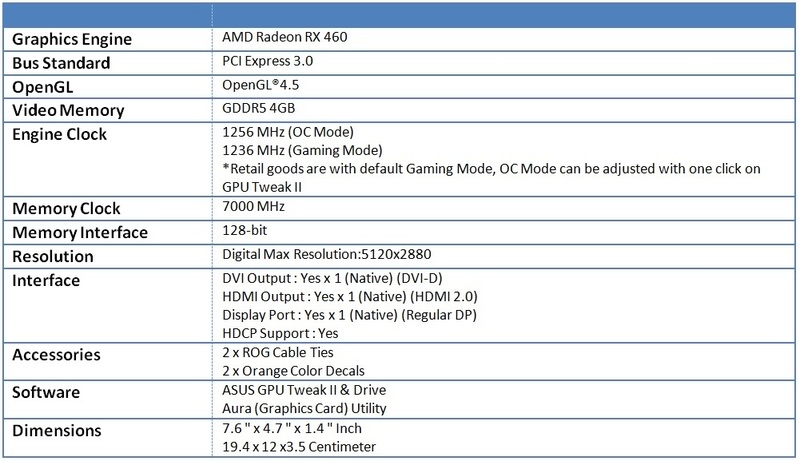 Our first experience with AMD’s Polaris 10 GPU architecture was in a form of ASUS ROG Strix RX 470 4GB OC graphics card and the conclusion wasn’t nearly as significant as we had anticipated due to mere 3-4K price deference against the RX 480 8GB graphics card variant. 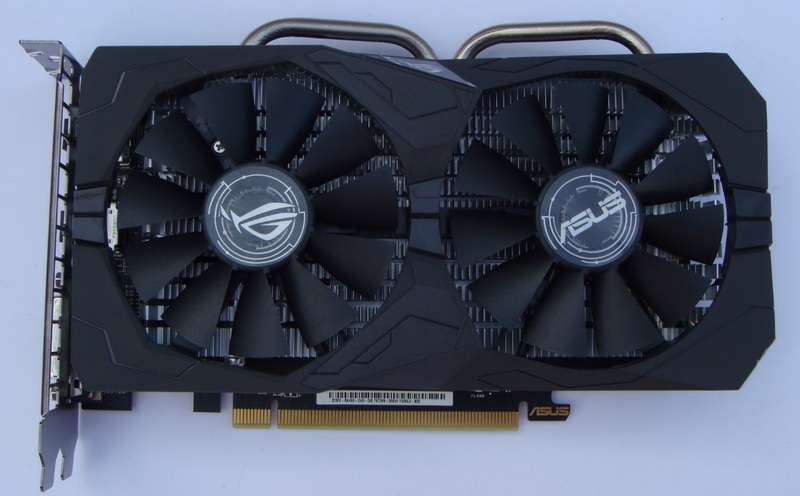 But keeping that all aside, today we are reviewing a AMD Polaris 11 architecture based product, the ASUS ROG Strix RX 460 4GB OC graphics card. 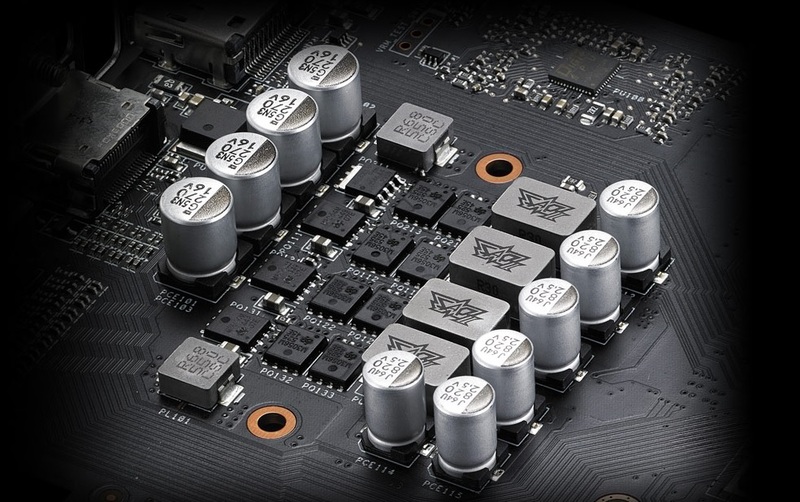 The RX 460 is based on the Polaris 11 Codename Baffin GPU, a 4thgeneration GCN architecture with 75W TDP. 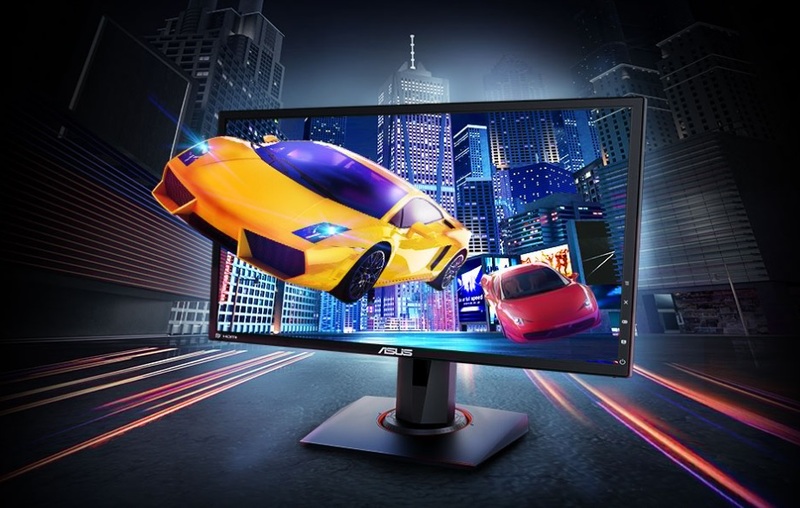 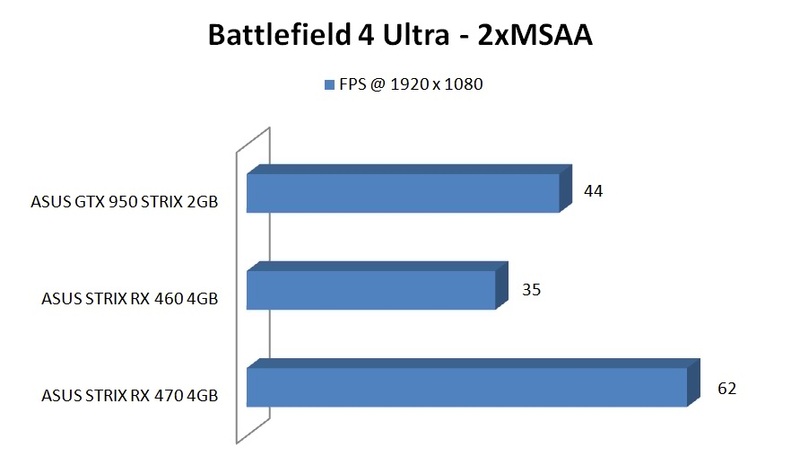 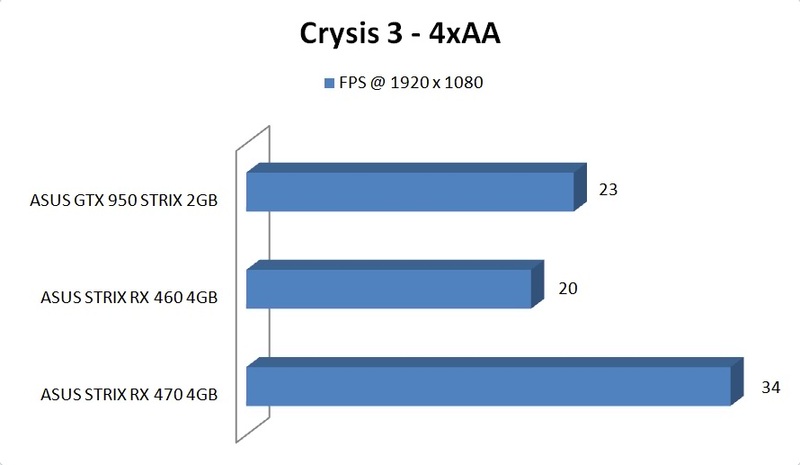 The graphics card is targeted to the budget range with performance to play latest titles at 1080P with lower image quality. 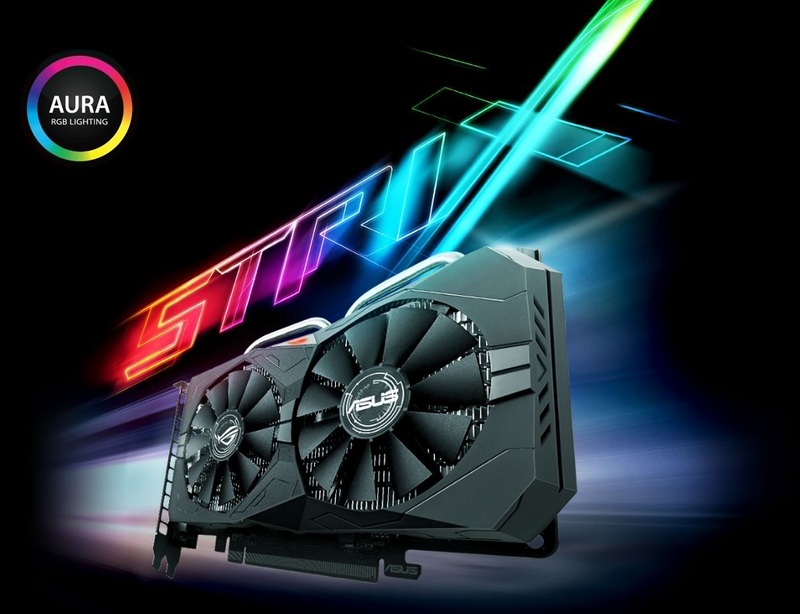 ASUS with its ROG Strix variant gives gamers a factory tweaked RX 460 graphic card with 1256 MHz of core Boost frequency and a custom DirectCU based cooling solution. 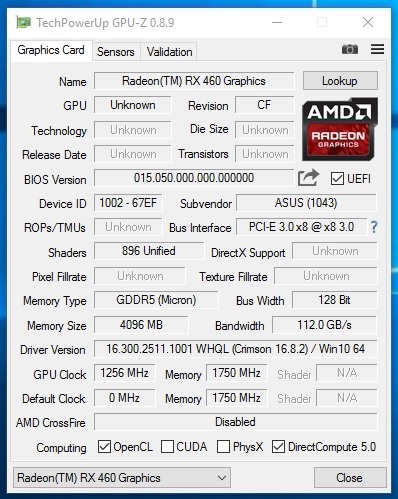 Now let’s see what this ASUS RX 460 has for us. 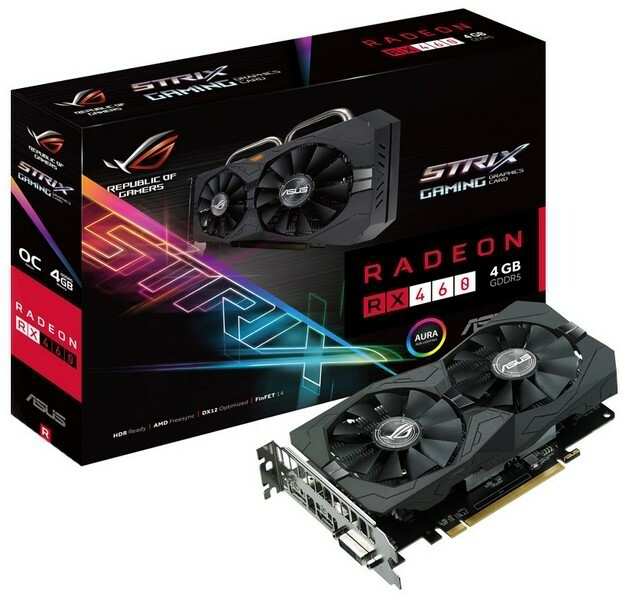 ROG Strix RX 460 gaming graphics cards are packed with exclusive ASUS technologies, including DirectCU II Technology with Patented Wing-Blade Fans for up to 30% cooler and 3X quieter performance, and Industry-only Auto-Extreme Technology for premium quality and the best reliability. 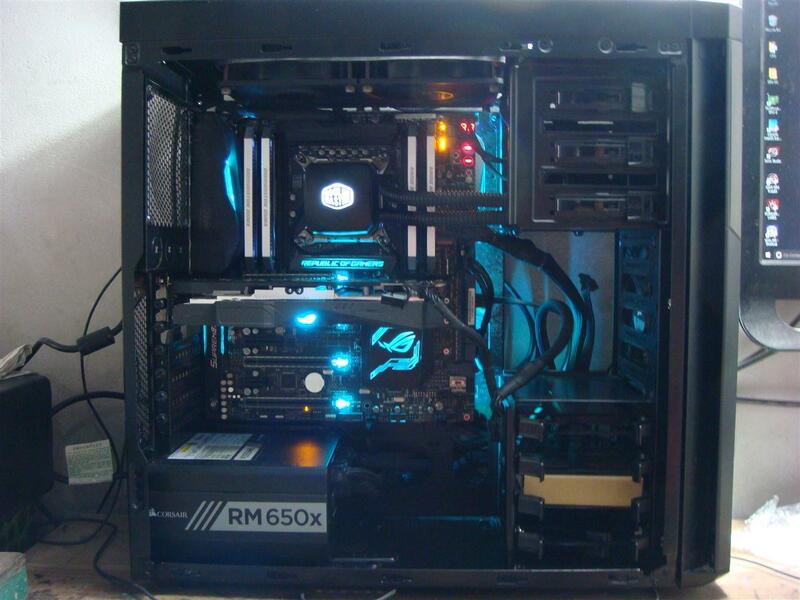 Aura RGB Lighting enables a gaming system personalization. 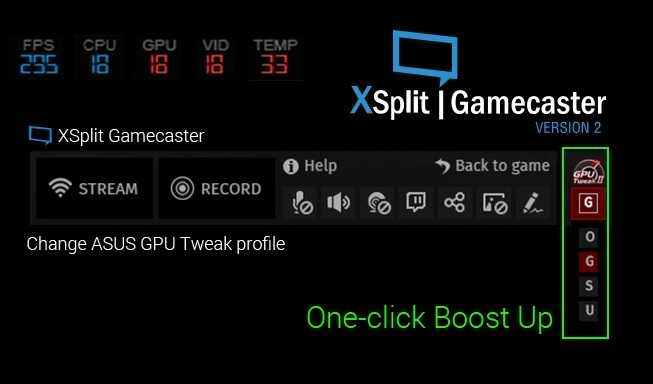 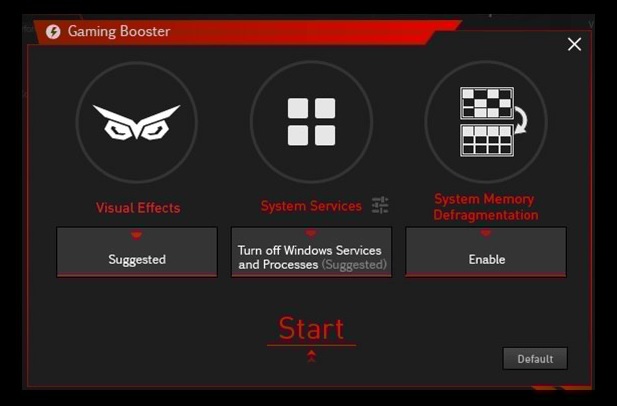 ROG Strix RX 460 also has GPU Tweak II with XSplit Gamecaster that provides intuitive performance tweaking and instant gameplay streaming. 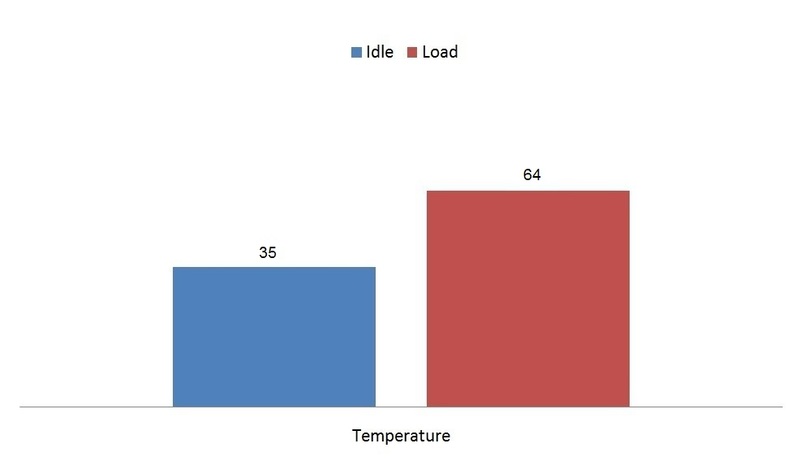 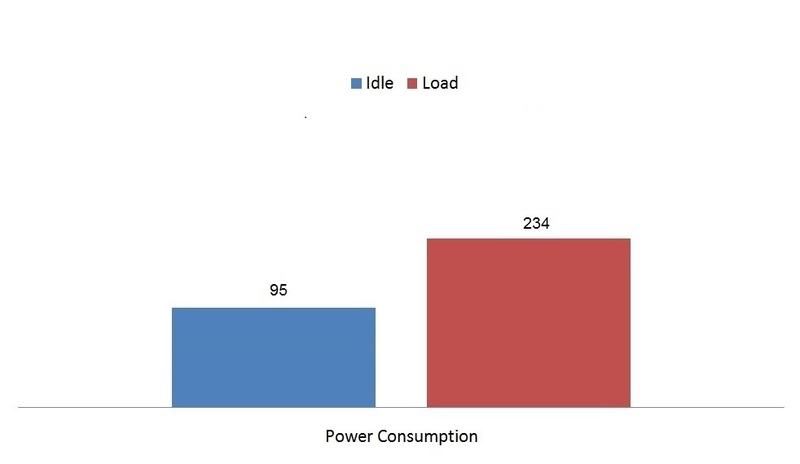 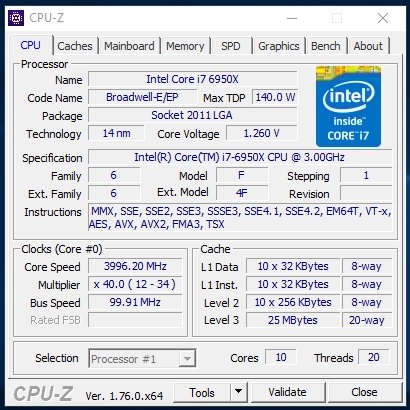 Targeted Supplemental Cooling- When gaming, GPU temperatures are often higher than CPU temps. 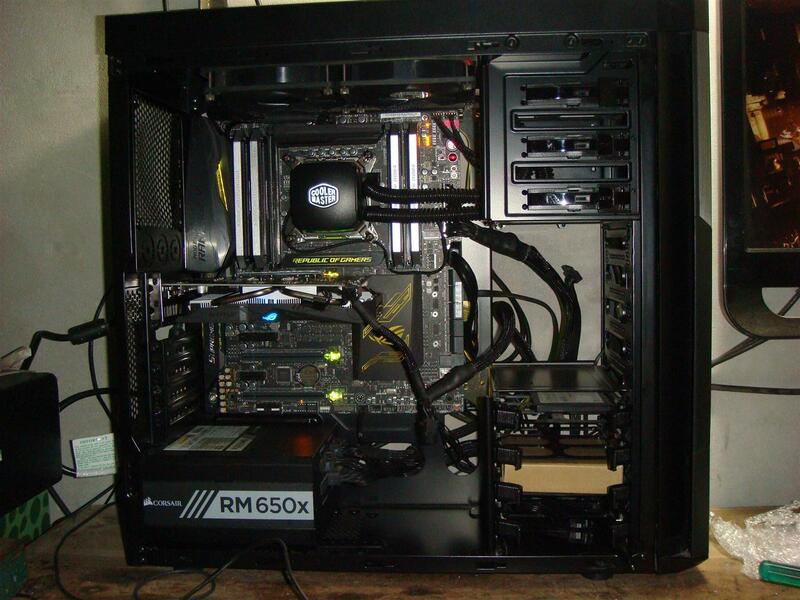 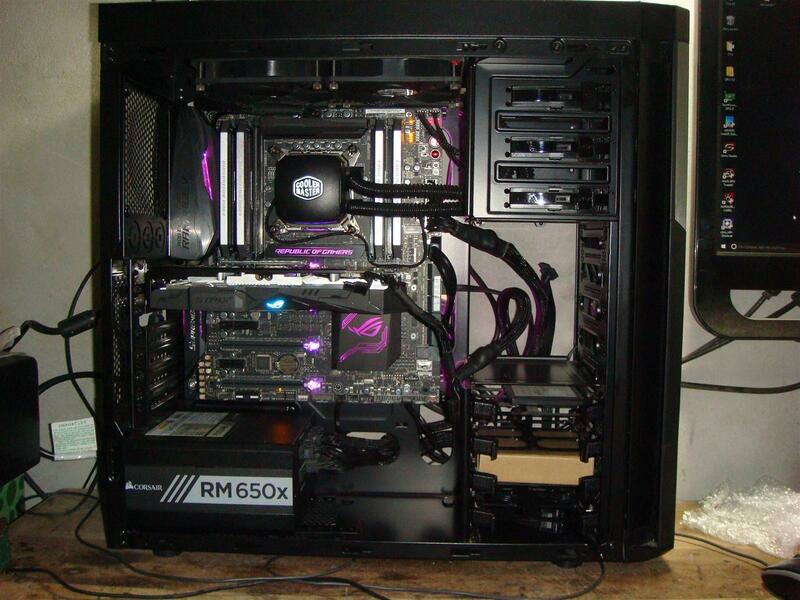 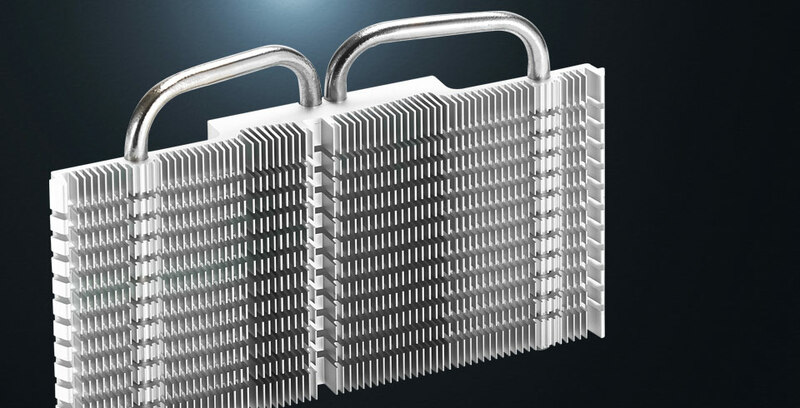 However, chassis fans usually reference CPU temperatures only, which results in inefficient cooling of the system. 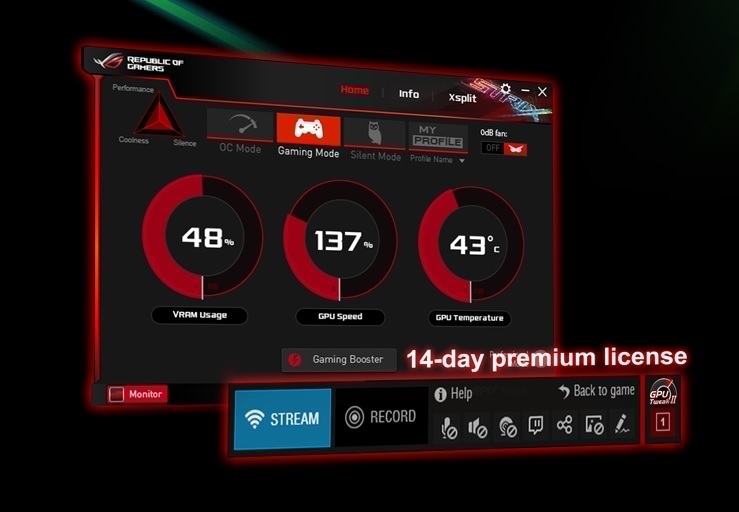 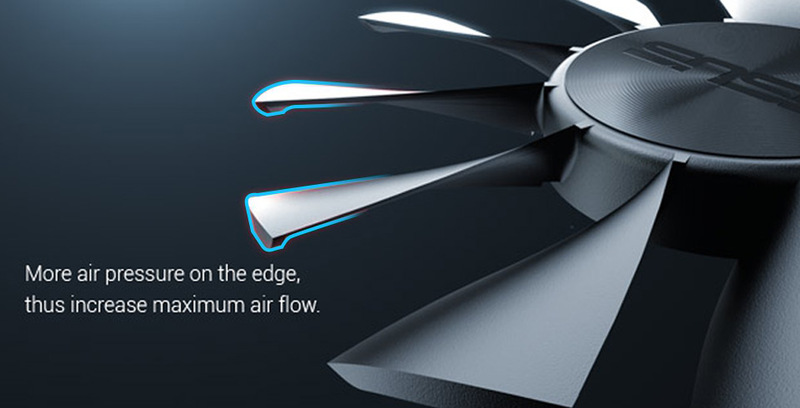 For optimal thermal performance, ROG Strix RX 460 graphics cards feature a 4-pin GPU-controlled header that can be connected to system fan for targeted supplemental cooling. 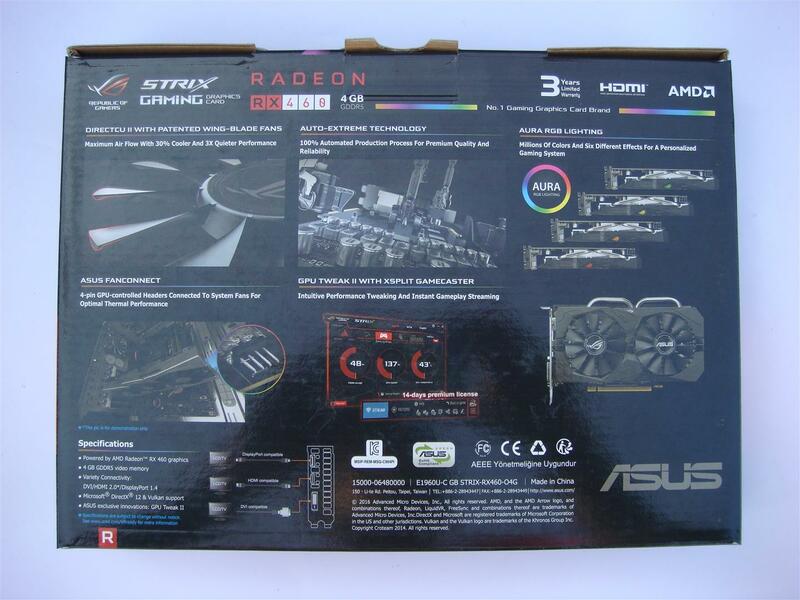 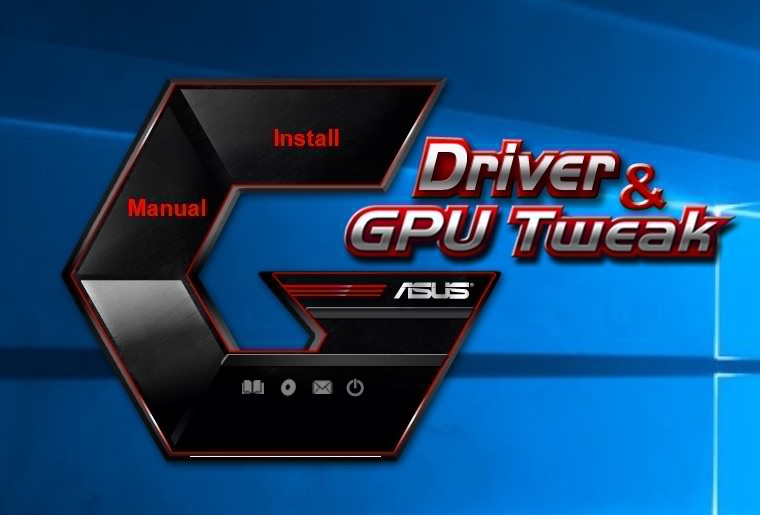 The ASUS RX 460 comes in a black colored box with STRIX logo highlighted on front of the box . 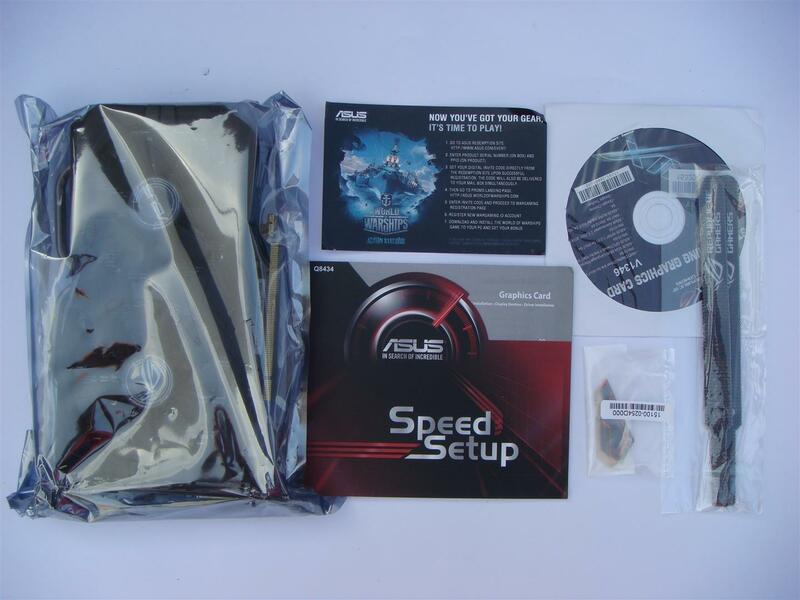 Back of box covers details about the product features along with specifications. 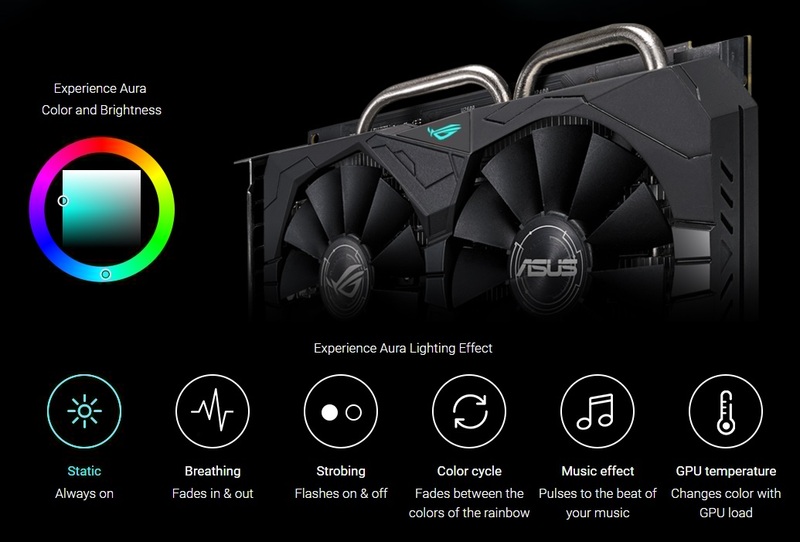 ASUS ROG Strix RX 460 4GB graphics card features a full black colour theme with two super silent fans for cooling. 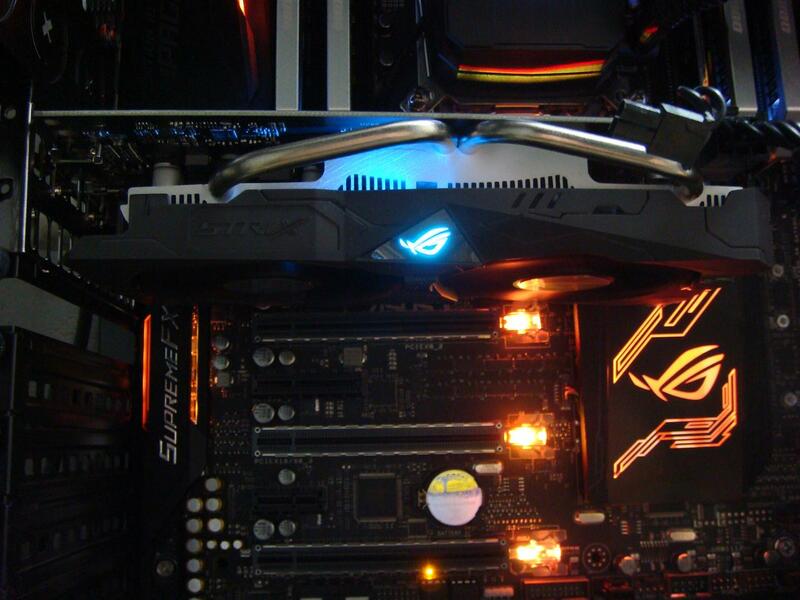 Top side features a ROG logo with the AURA RGB lighting. 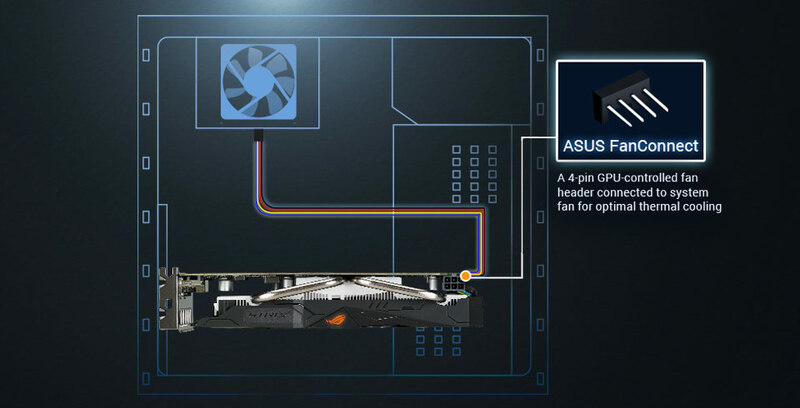 Card also features a 4 pin (PWM) fan header to hook an external fan, which can be controlled via bundled software. 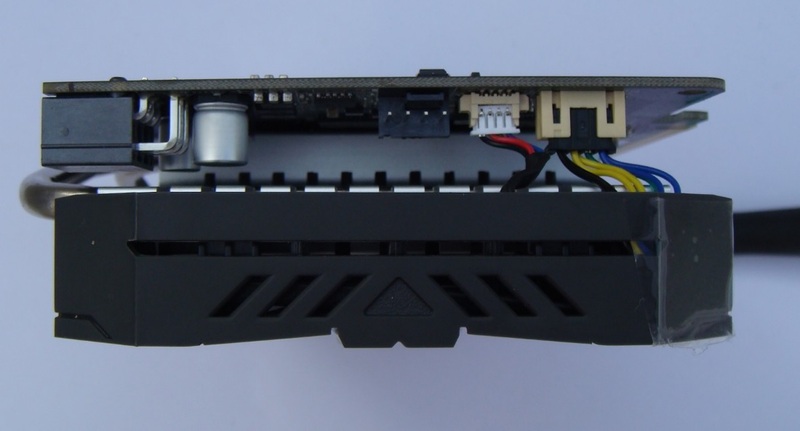 The back I/O plate is having a DVI connectors, a HDMI (2.0) connector and a DisplayPort (1.4) connector. 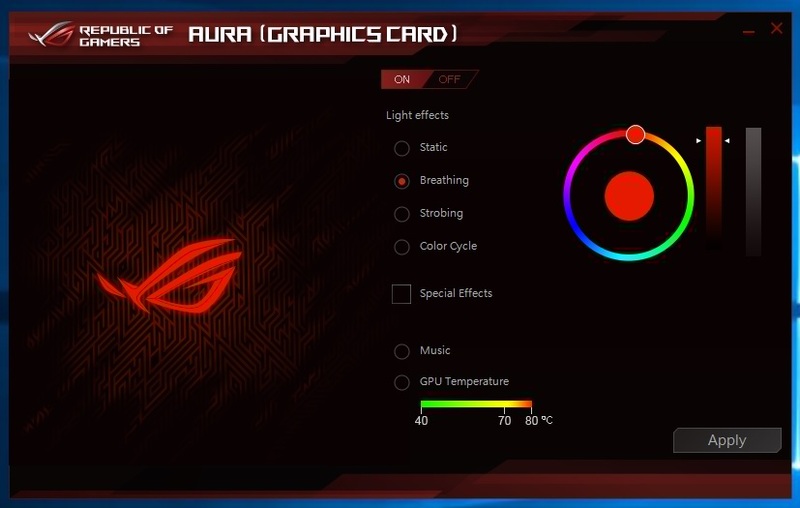 The ASUS ROG Strix RX 460 4GB OC graphics card is an entry level gaming solution and not meant for Ultra settings with any game. 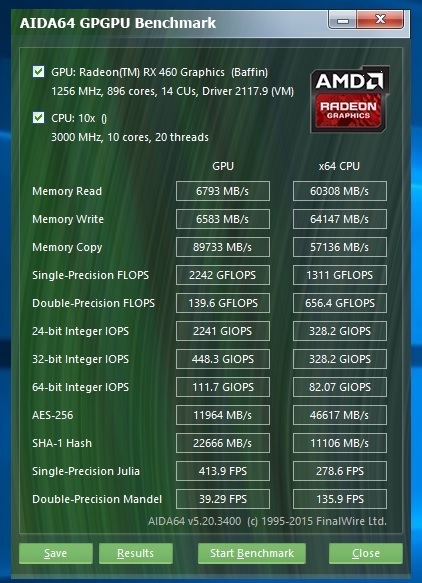 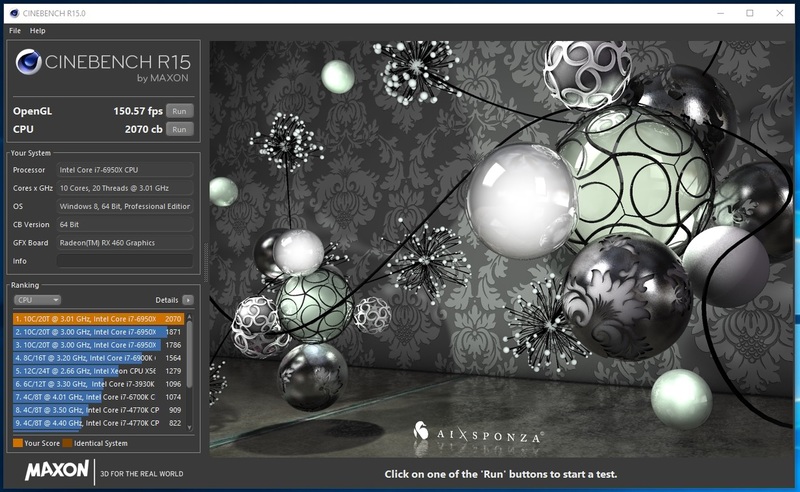 Factory overclocking along with 4GB of Video memory servers great to buffer more texture allowing better image quality without blurry textures. 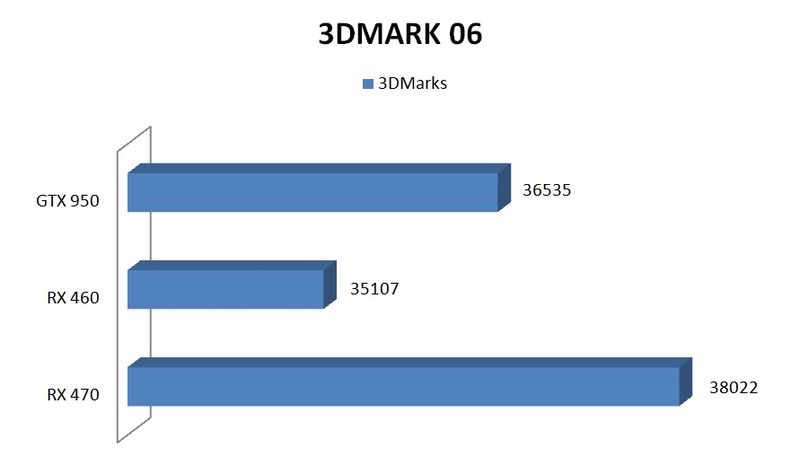 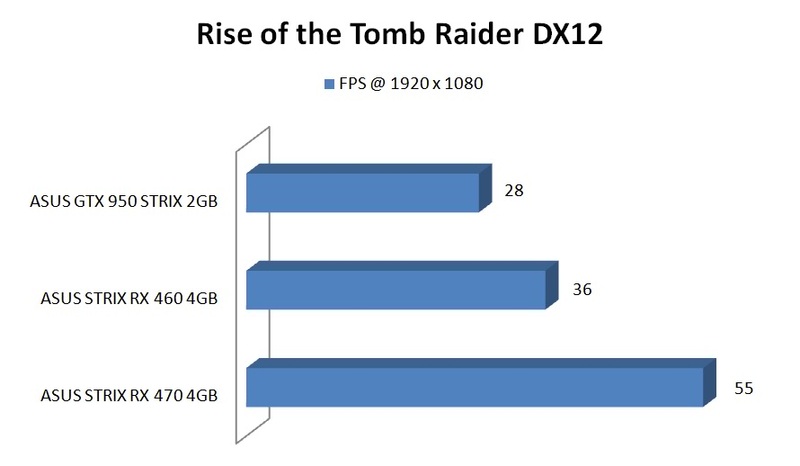 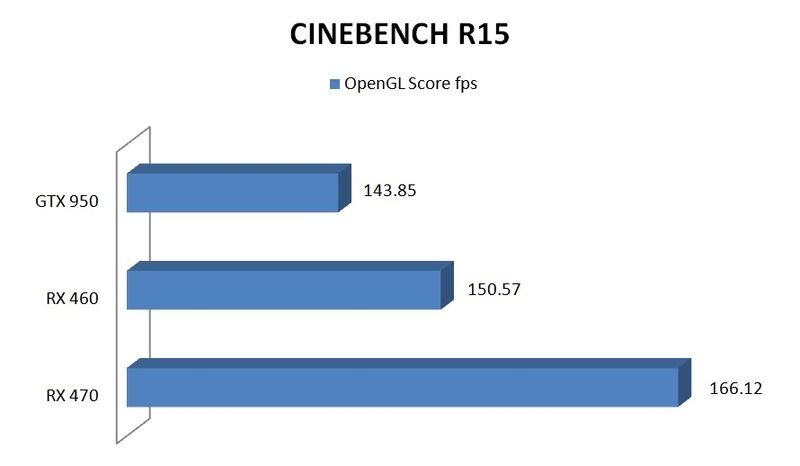 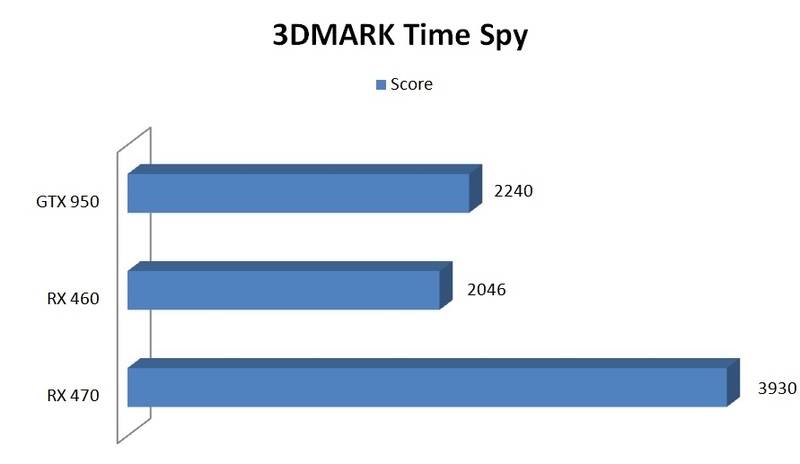 Comparing head on with an year old generation GTX 950, the Rx 460 performance was disappointing with last generation games, the Tome Raider DX12 version showed slight improvement in fps against GTX 950, that again is due to overclocking and 4GB memory. 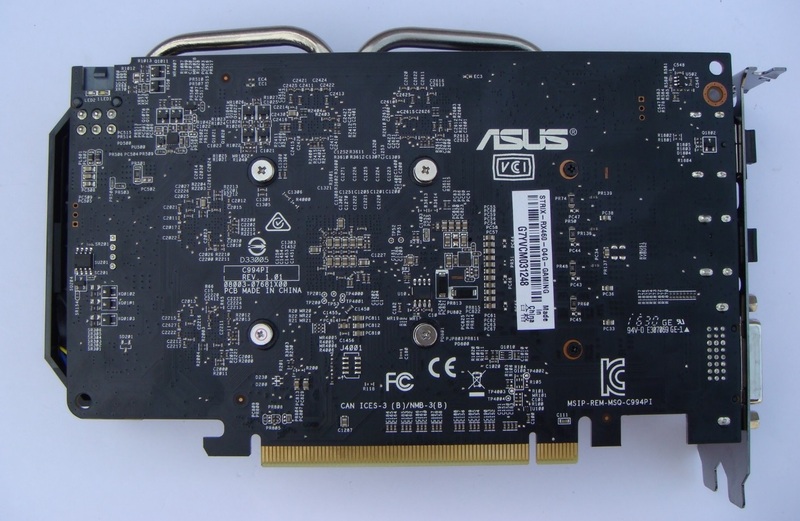 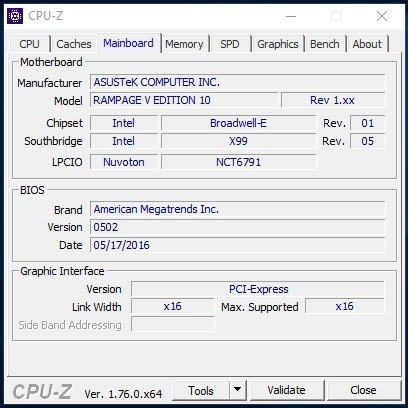 ASUS have done great job with its DirectCU II thermal solution on this card resulting quieter operations with lower temperatures. 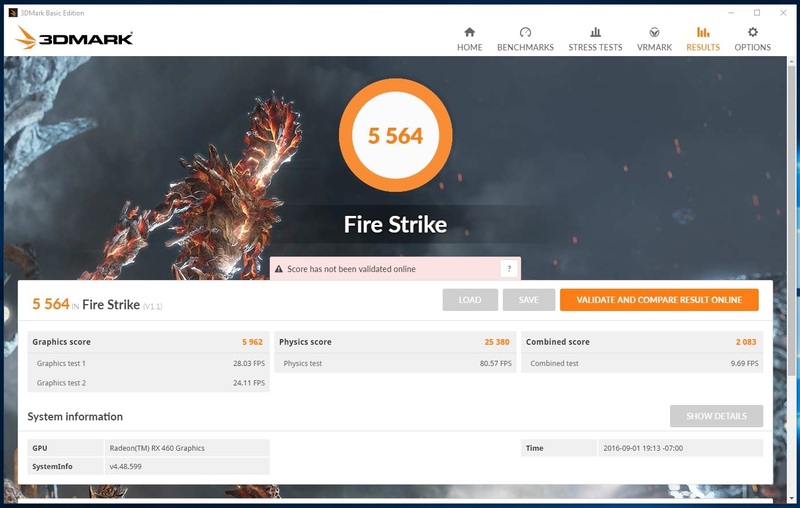 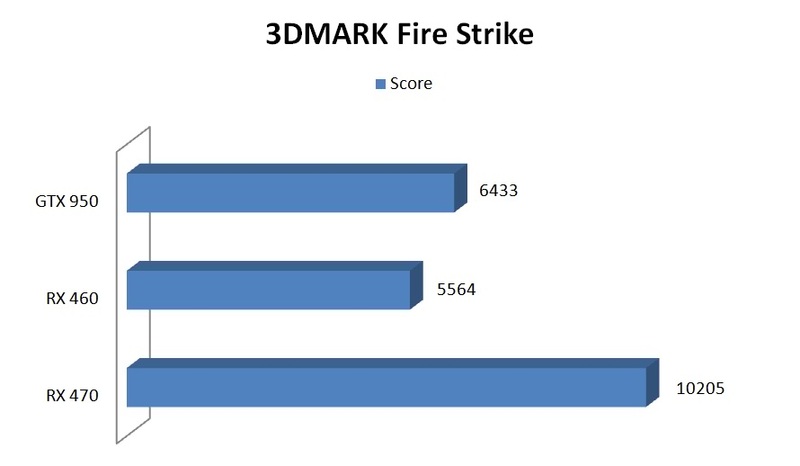 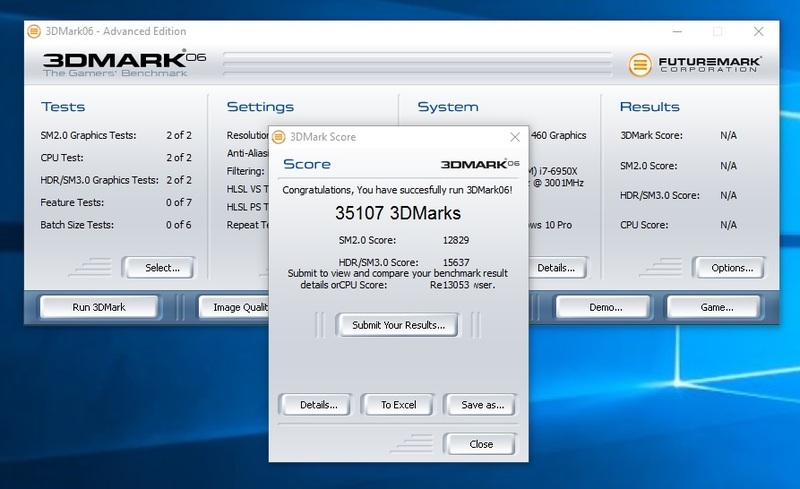 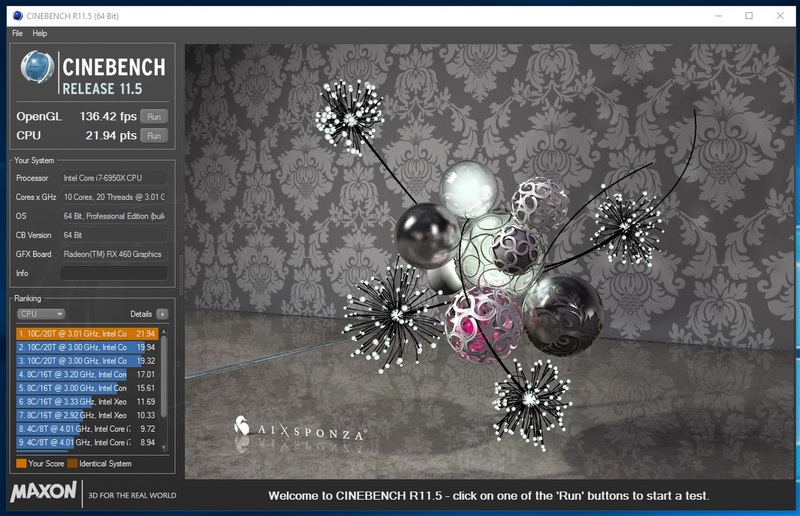 With more upcoming new titles supporting DirectX 12 and Vulkan along with an upcoming driver update from AMD would help in raising the performance bars of RX 460. 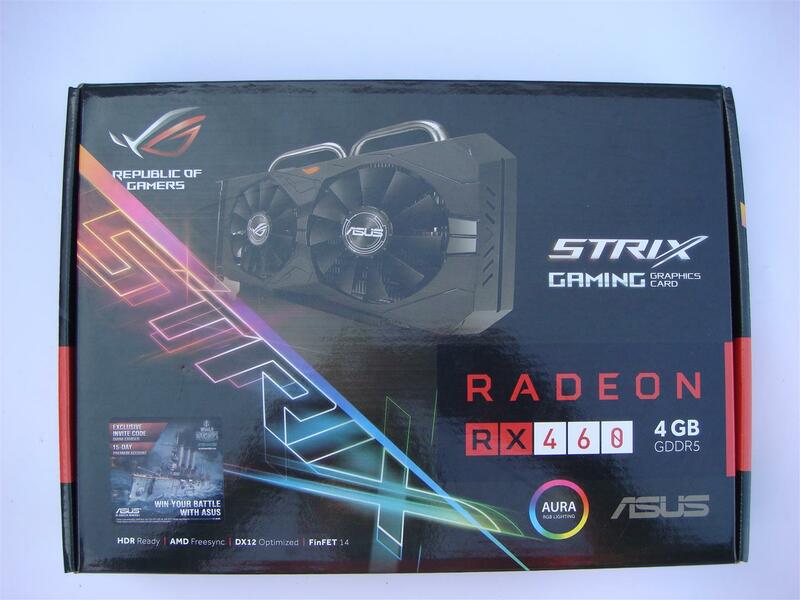 At the conclusion ASUS ROG Strix RX 460 4GB graphics card is a great option for low budget gamers looking for low noise and low temperature gaming solution and worthy of our PC TeK REVIEWS Value Award.